How have I never been to Wissahickon Park in Philadelphia!? Covering roughly 2,000 acres through the city and beyond, the park offers a full fledged forest within an urban sprawl. There are hiking trails, bridges, natural surroundings, and photo ops galore. 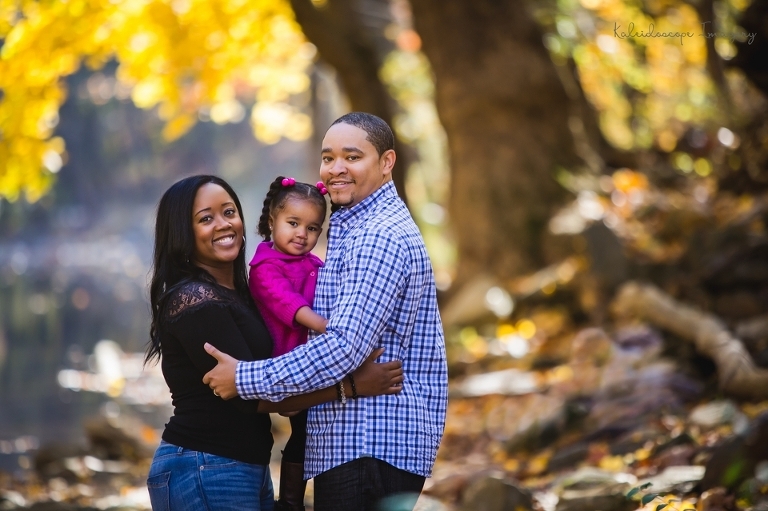 It is truly a peaceful and beautiful gem, and paired with a gorgeous family and an animated little one, it made for a great fall family session. I love the spot we found by the creek, with all of the fall colors reflecting off the water. We began with taking some images of the Bayton’s adorable little one. She was completely joyful throughout the session, and an absolute pleasure to work with. 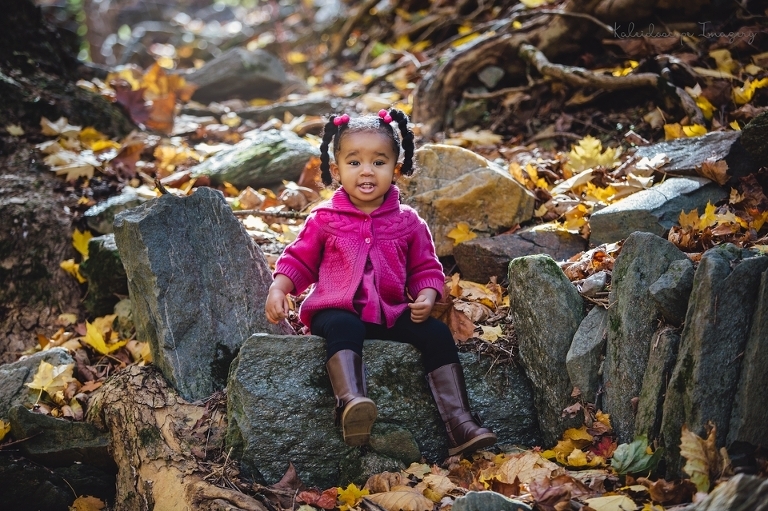 I love capturing little ones in natural settings, especially with the sun filtering light from behind. Even at mid-day, the sun created lovely rim light and hair light as it filtered through the foliage. Being peak autumn, the foliage offered so much more than just light diffusion. A large tree right beside the creek was at its most beautiful, creating a vivid yellow frame for many of our images. I adore the family photos we captured by this spot. Also, I love the candid moments we got of both mom and dad interacting with their little girl. The candid images are always among my favorite! We ended the session with a wide shot of the family by the creek which shows the entire surrounding location and all the colors of the season. Most of all, it was wonderful to see Lisa Bayton, a classmate from our high school Mount Saint Joseph Academy, and catch up after many years. I have done several sessions for former high school classmates recently, and it is an honor that I enjoy immensely to be able to reconnect with wonderful people, learn about their new families, and meet the next generation. 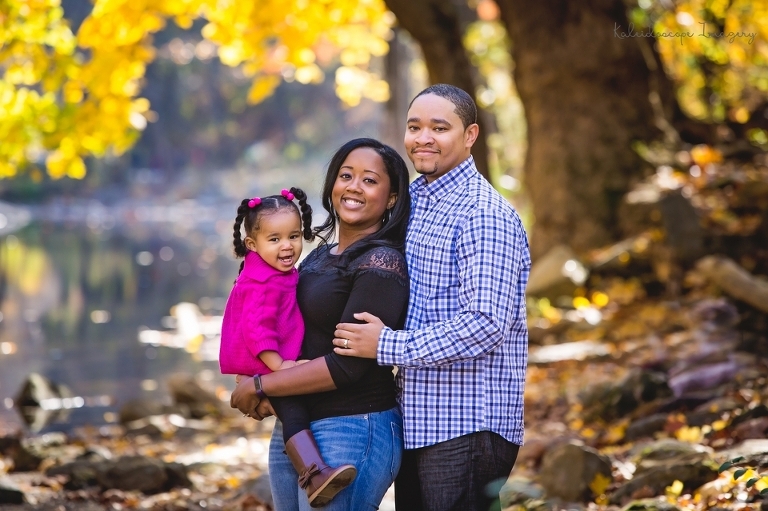 Thank you to the Bayton family for a beautiful session!